In 1935, the Army commissioned the Measurement Building with the development of a military radiotelephone with a distance range of more than five to six kilometers over a flat terrain with the antenna near the ground level. More sophisticated military requirements and experimental experience led to a series of five subsequent development models. 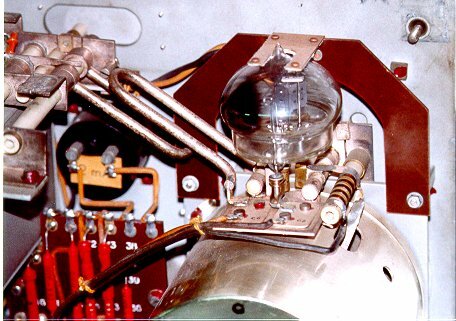 Of particular interest was the use of new tube types (TB04-8) in which the electrode system was mounted on sturdy straight pins protruding through the glass wall. 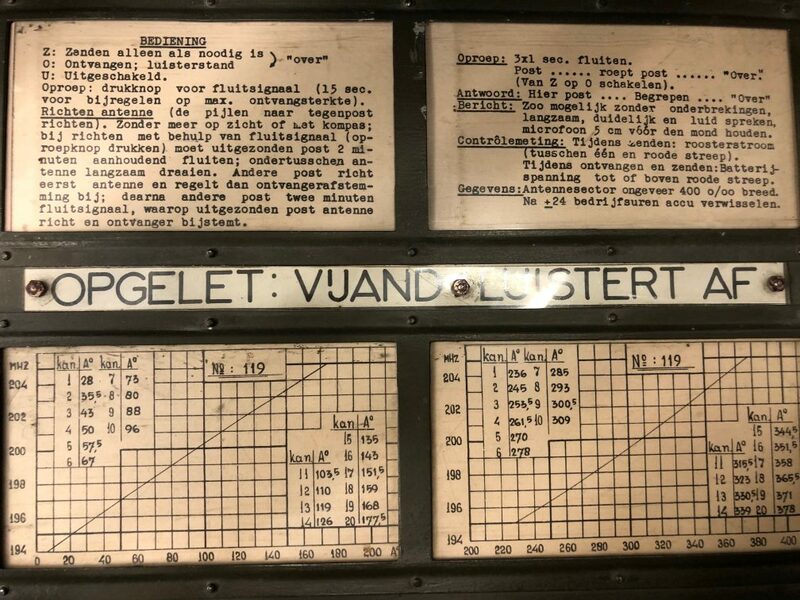 The final (fifth) development model by Von Weiler completed at the end of 1937 contained only four single tubes and provided twenty consecutive telephone channels each 0.5 MHz wide, the total centred around 199 MHz (wavelength 1.5 m). At that time, 199 MHz was considered to be an ultra high frequency. 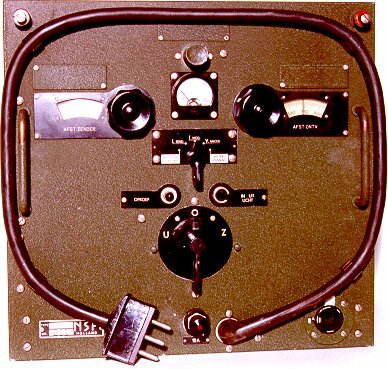 In operation, the transmitter/receiver was connected back to back with the power supply block. The combination served as the basis for a single directional antenna for sending and receiving. 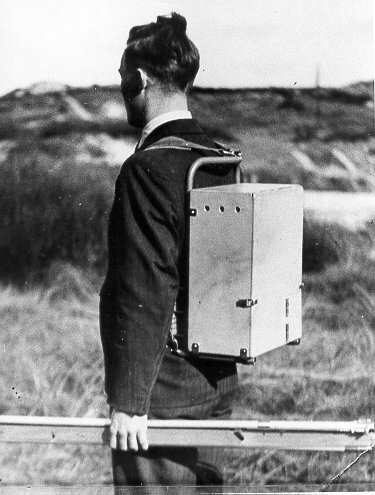 This prototype was adapted to industrial production and produced as the transportable radio-telephone unit NSF type DR-42 from the end of 1938. In 1939, the Dutch Army took 240 units in operation. 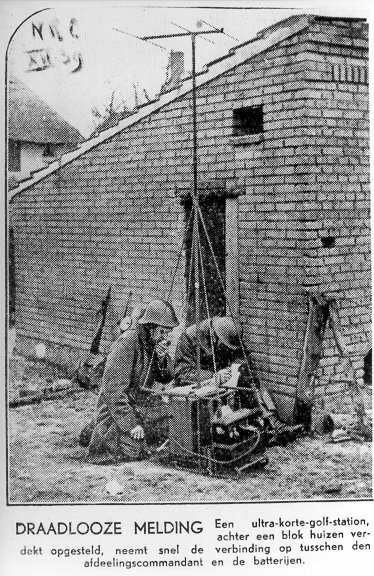 The new communication units were used in the battle for the Grebbeberg in May 1940. 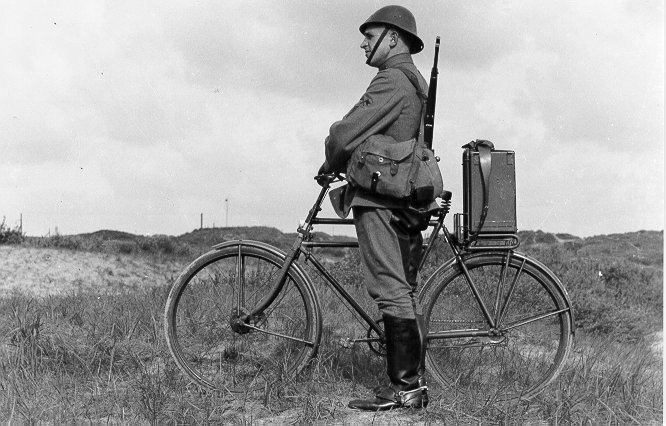 In 1942, the German army apparently continued the production of the DR-42 during the occupation of the Netherlands. There exists a German-language Philips Emission operations manual with components schema called “Tragbare Ultrakurzwellen Sende-Emphanganlage Baumuster DR-42“. Even in 1948, the NSF DR-42 was still considered a viable proposal. 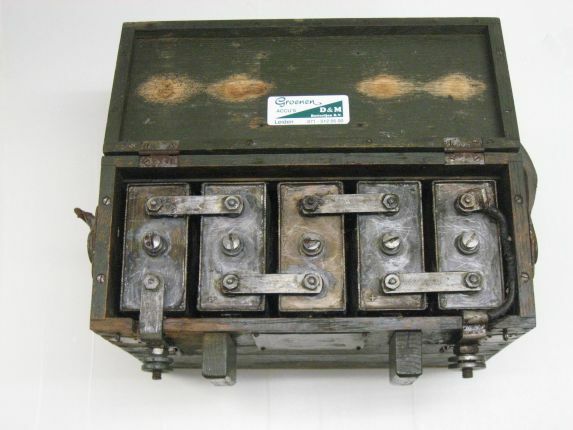 The transmission circuit of the Dutch Seintoestellen Fabriek (NSF) DR-42 consisted of an oscillating power triode which supplied 2 Watt to the antenna with anode modulation using a heavy duty pentode valve. 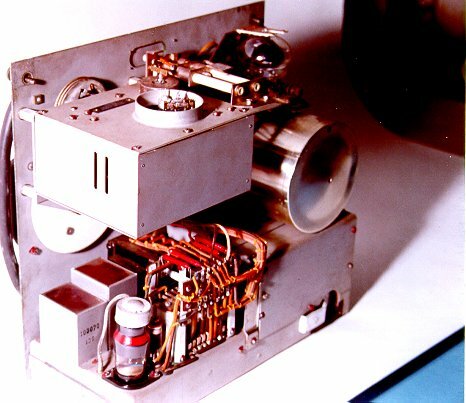 Of special significance was the use of a coaxial tuner with low losses (at the time called “Kolster self-inductance”) for the oscillator which must have contributed significantly to the frequency stability (“high Q”). The receiver contained a miniature triode (TB04-8) as a super-regenerative demodulator preceded by a pentode to block the penetration of the oscillation towards the antenna. This was followed by the aforementioned power pentode as a low-frequency amplifier. 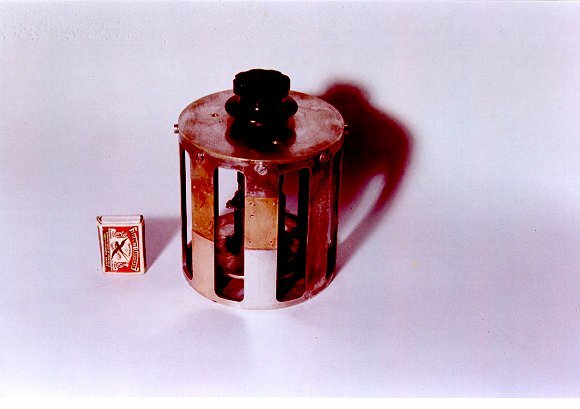 The second unit (17 kg) contained a Ni-Fe battery that provided low voltage to the filaments and a vibration rectifier for the anode voltage. 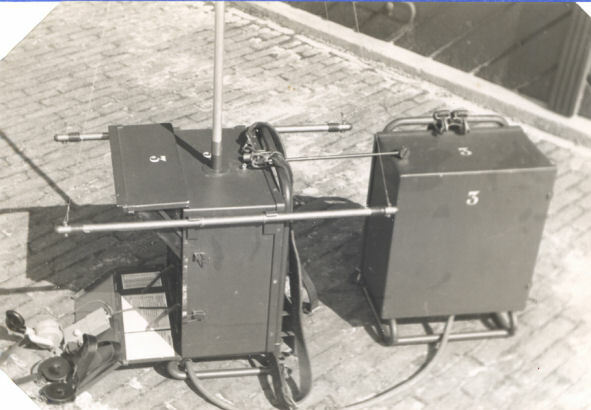 This provided ten hours of operation based on equal transmission and reception time, although the instruction text on the radio gave a more optimistic battery-life of 24-hours operations. A third unit in the form of a long tube (5.5 kg) contained the foldable three-element Yagi antenna, mast sections for a maximum of 2.2 meters antenna height, a microphone and headphones.